Verdi’s 1851 masterpiece Rigoletto is a timeless tale of a protective father, his wholesome but inquisitive daughter, and the libertine aristocrat that comes between them. To tell this story, the composer wrote one of his most inspired scores—music that is equally catchy, thrilling, and emotionally devastating. 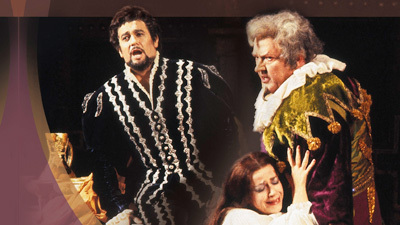 Each of the opera’s three principal characters have been sung by many of the great singers of the past, and for this performance, the Met presents three of the best singers of the present in the lead roles. 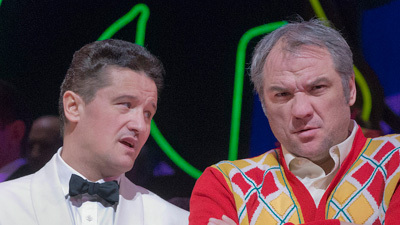 As the title buffoon, baritone Željko Lučić brings one of his most acclaimed, searing portrayals back to the Met. 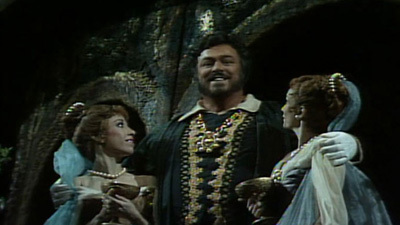 Olga Peretyatko is his daughter Gilda, coloring the character’s youthful longing with a shimmering, effortless soprano, and tenor Stephen Costello sings with bright lyricism and solid top notes as the carefree Duke. Only a few weeks after his Met debut, Pier Giorgio Morandi conducts a performance that also includes mezzo-soprano Oksana Volkova as the alluring Maddalena.